My first impression of New Shanghai was a very positive one. There were plenty of people willing to queue up, given the restaurant status of only residing in a food court. The décor inside was equally brilliant. It was made to resemble a street-side restaurant with an open kitchen theme. 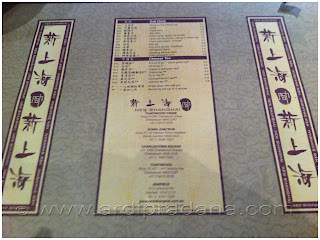 It reminded me of the other Chinese Restaurant I’ve reviewed, Din Tai Fung, mixed with authentic dining experience. My good impression was short-lived. The waitress was pretty impatient and she actually walked out on us in the middle of order. She might have assumed we wouldn’t order any drinks or other food. 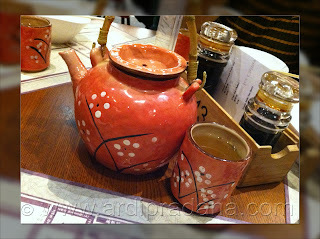 We ordered hot tea from a different waiter. The first dish arrived was Stir-fried Spinach with Garlic. 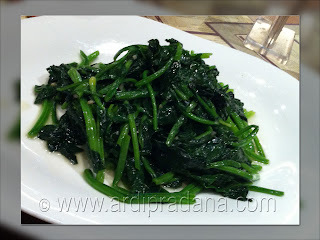 It was a very plain water spinach dish with garlic. The second dish also followed suit of being plain. It was the Lamb and Leek Dumpling. 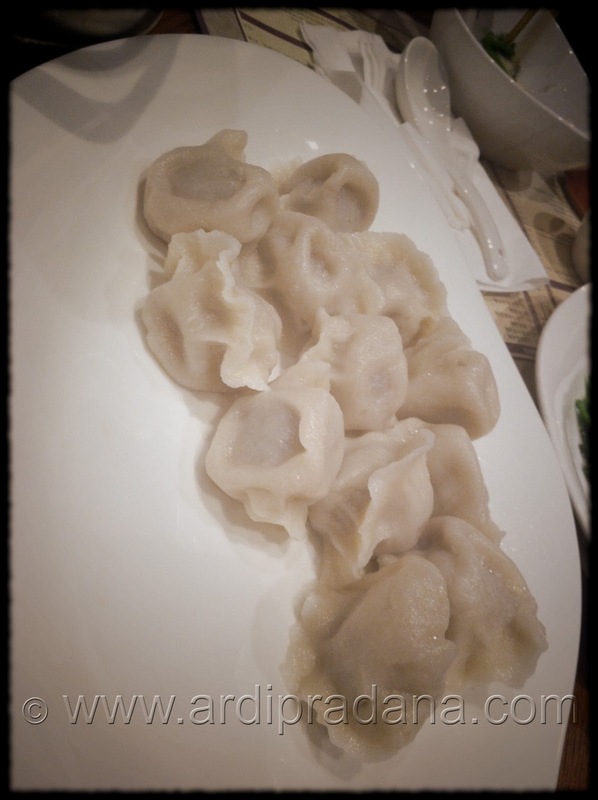 It’s kind of reminded me of the frozen dumpling from Coles, with the additional vinegar and soy sauce (which can be obtained from the supermarket as well!). 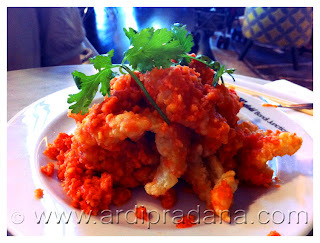 Their hints of excellence came in the form of Deep Fried Calamari in Salted Egg Yolk. I would recommend you to enjoy this dish with a bowl of rice since it can be salty. Despite the egg yolk, the calamari was still crunchy and easy to chew. They also did ok in terms of its presentation. Next dish to come was their specialty, Pan Fried Bun. This was the first time I enjoyed a bun, half fried at the bottom with meat filling and tasty broth inside. You might want to take it easy in enjoying the bun since the broth was quite hot when it was first served. You can also add soy sauce, chilli sauce and/or vinegar according to your taste. 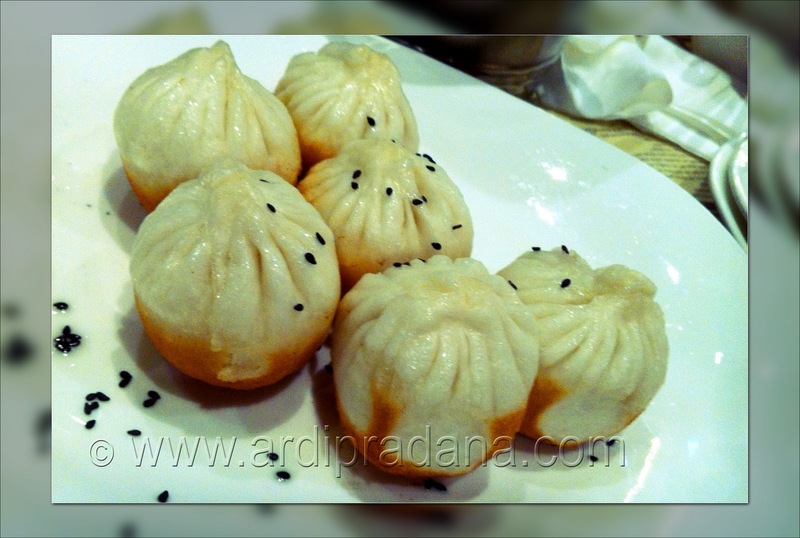 It was a mixture of sweet and crunchy bun with savoury filling. We had to ask for the next dish (twice) before it eventually arrived. It was Drunken Chicken. 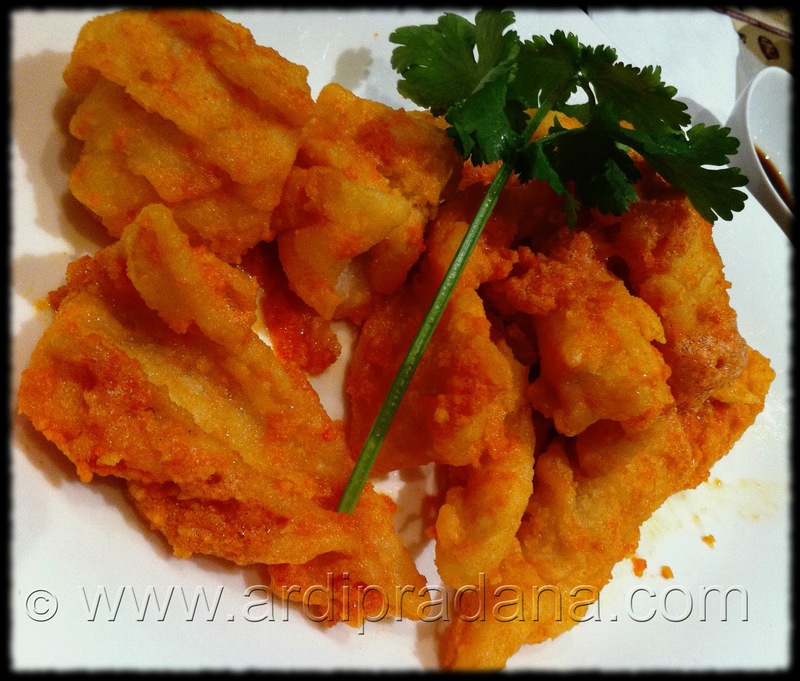 It is a classic Chinese Dish served chilled and is supposed to be served as an entrée. However, this particular dish was bland and did not look appealing (and most certainly not an entrée). Furthermore, it turned out to be our last dish of the day since another waiter told us that our Deep fried chicken with special garlic & chilli sauce was not on the list of things we ordered. The final verdict: They might have a nice Calamari and Pan Fried Bun, but their service was one of the worst I have ever experienced in my life. Not only the waitress left us before I finished ordering, she actually forgot one of my orders. Considering the queue, I was astonished that it wasn’t met with at least a decent service. 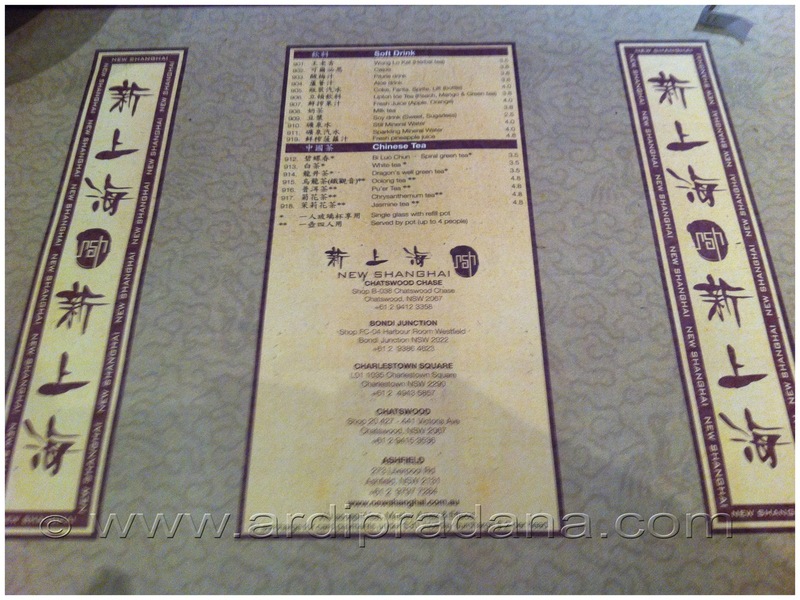 There are several branches of New Shanghai all around Sydney. The one in Bondi Junction is more of a food court stall rather than a fully-fledged restaurant. I think this setting actually works better for them at least they don’t use the terrible service. I’m sure I would’ve given 0.5 or 1 point more.